Unless it is manifestly important and nearly impossible – Edwin H Land. Wanna come for a ride on Sunday? I don’t have a mother, or at least one I will have to see on Sunday (because she is interstate) so I’m going for a little bike ride on Sunday. If it wasn’t for the fact that I need to be somewhere in the mid-morning, I would go with the lovely folk for Lazy Sunday Cycle, but them is the breaks. Weather is meant to be lovely, but then again, it is Queensland. 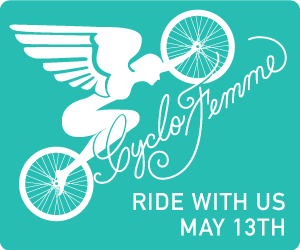 This time around, I don’t believe you have to be a woman to ride this ride, you can come in recognition of the amazing women in your life, bring a daughter, a sister, or a partner or even just know a couple of women and I think it will be fine. Maybe you can wear your pink Rapha.